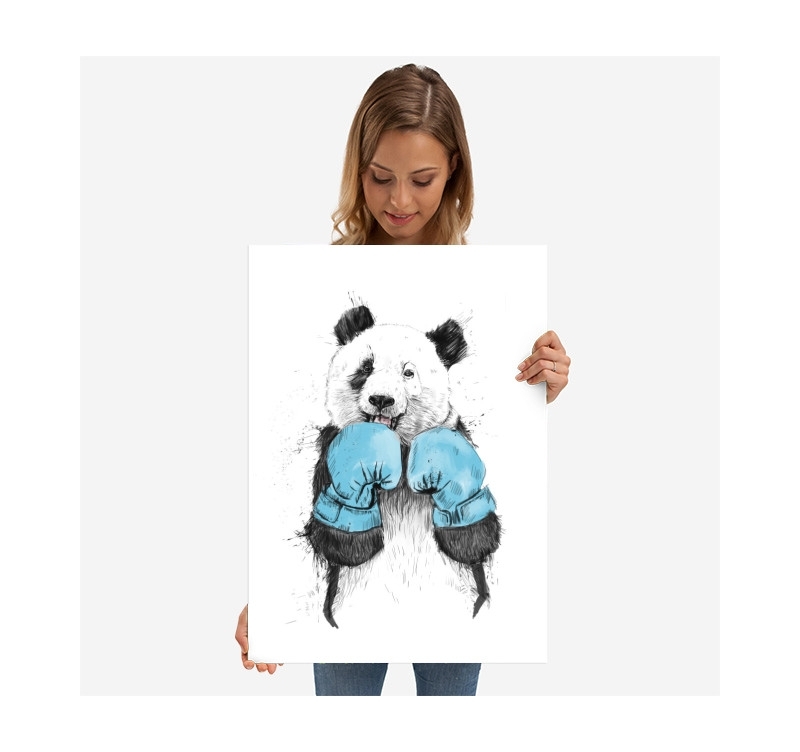 Strength and honor with this big panda boxer on metal poster ! A touch of humor beautifully realized with this design decoration. 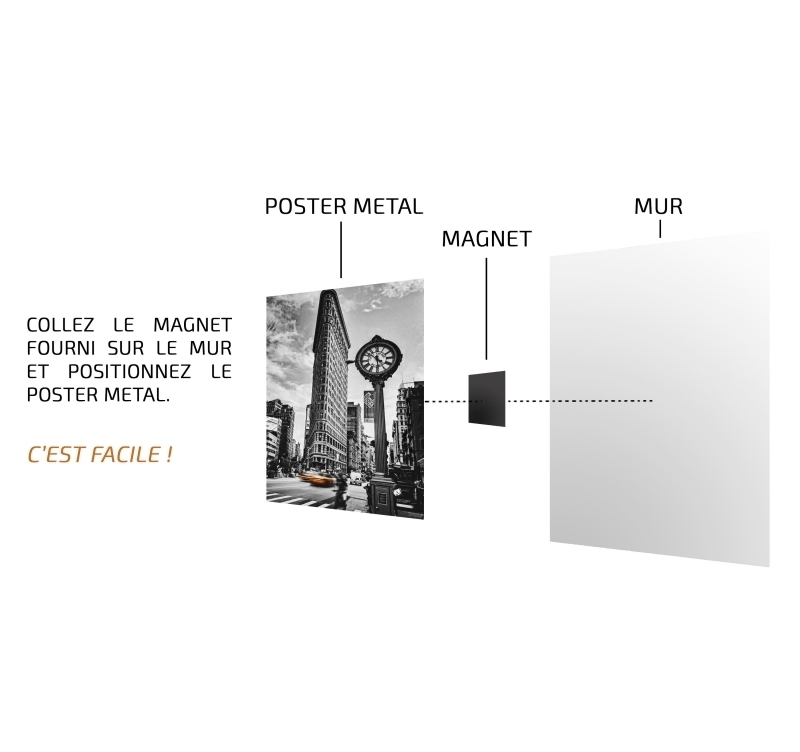 The dimensions of this metal poster are 48 x 67.5 cm. Worldwide shipping for this metal frame. 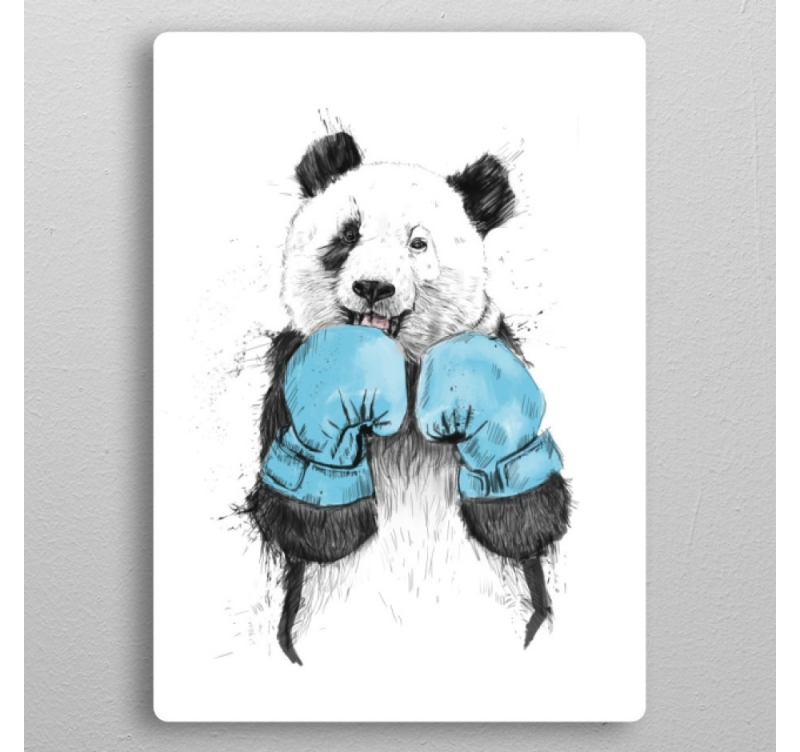 This metal wall poster features a panda ready to enter the ring ! Directed by the artist Balázs Solti, this poster is the touch of design that was missing in your interior design. 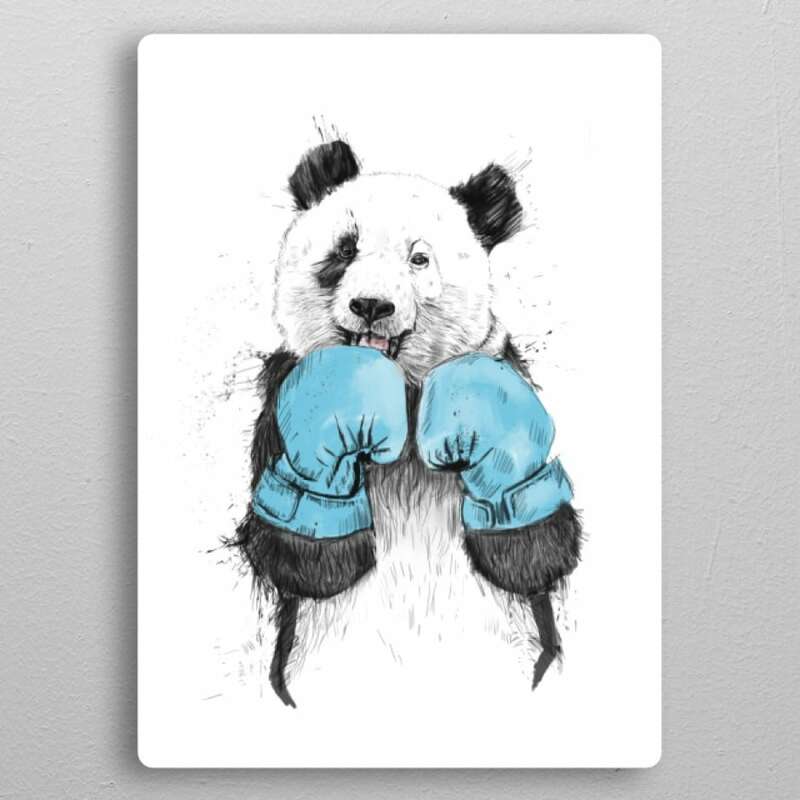 Always on a quirky tone, the universe of the artist transposes well in this metal panda poster that seems delighted to box. 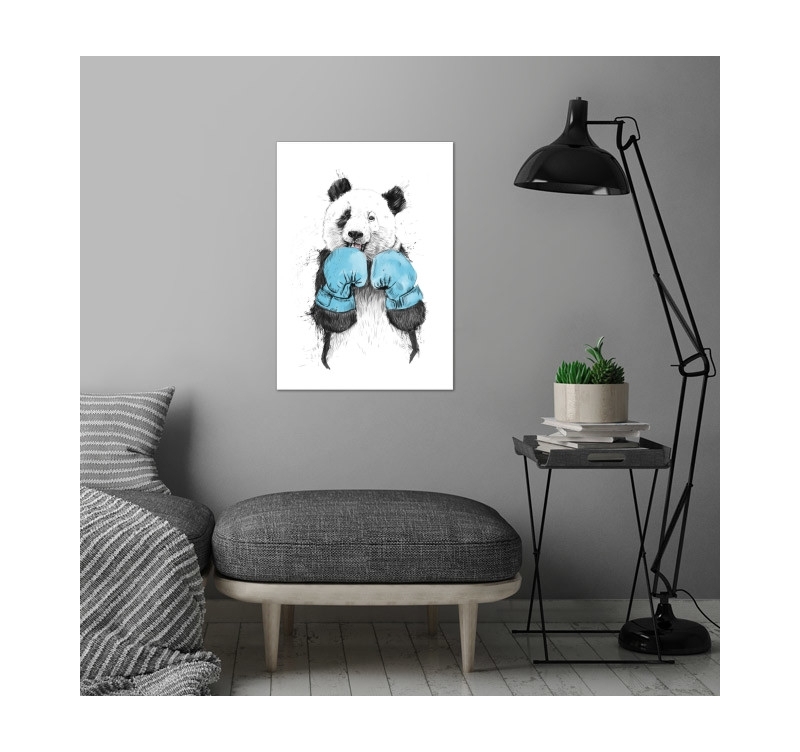 This poster is printed on metal for a stunning rendering in your home decor with brilliant colors and high definition. This visual rendering is much more qualitative than paper posters and you will be pleasantly surprised by the result. This metal poster is a real collector's item with the signature of our production manager and an authentication hologram on the back of the work. 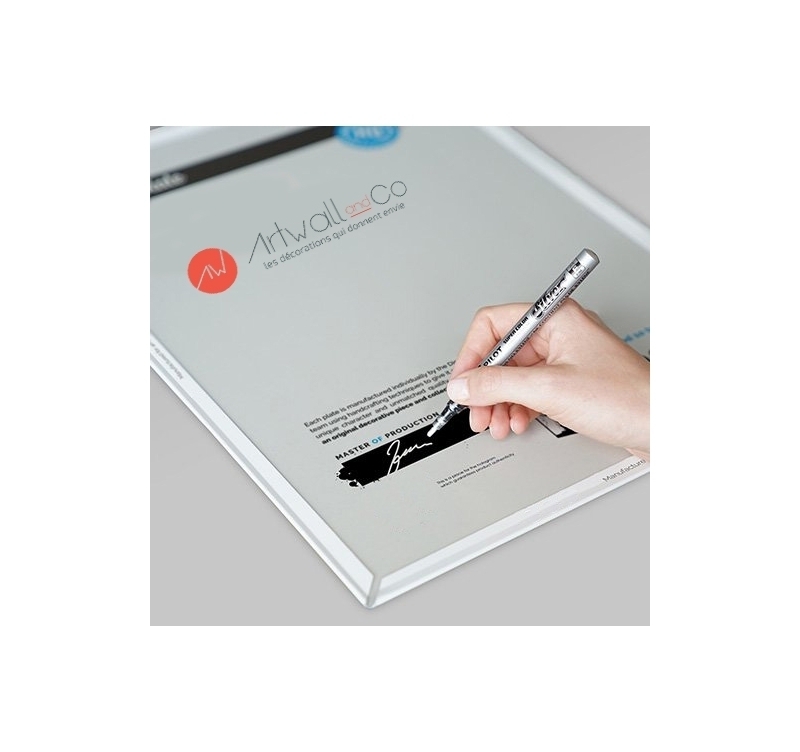 This poster comes with its magnetic attachment system without the need for a hole or nail.